So I had grand plans to go to Tuscany for a walking tour this September.,however the walk that I was interested in didn't have a group walk scheduled for September. There was the option to go for a private walk where it was just me and the guide but that would cost me the equivalent of a third word country's economic deficit... well slight exaggeration but you get the drift.. There was a scheduled walk for the end of October but that would clash with the dates of the MotoGP in Sepang, Malaysia, which I intend to go for. The whole idea for this walk in Tuscany was to get out to explore the Tuscan countryside and small towns, with my trusty camera. While I was in Tuscany in September, I planned to catch the MotoGP in Misano which is about a few hours drive away from Florence. 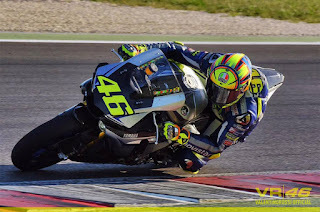 It would have been sweet to catch Valentino Rossi (my favourite rider in the GP) in Misano. Rossi is one of the veterans in the MotoGP but is doing exceptionally well this season, and to catch him at his home race would be an ultimate " I can die happy now " experience. So now I have to decide what I want to do. A. Go to Tuscany anyway this September and just explore Florence and another city and watch Rossi at Misano and do Sepang as well. B. Forget Tuscany this year and just catch Rossi at the Sepang Race, and do the Tuscany walk next year and catch Rossi next season at Misano. Making decisions have never been one of my strengths...I procrastinate to the point where its too late to do anything and then just think... oh well. I also am a little apprehensive as I will be doing it all alone. Not afraid of being alone just worried about rapists,murderers, robbers and pickpockets and those sorts of things. I am terrible at meeting people, am an introvert and have no idea what to say or how to start conversations. That's why being alone isn't so daunting.